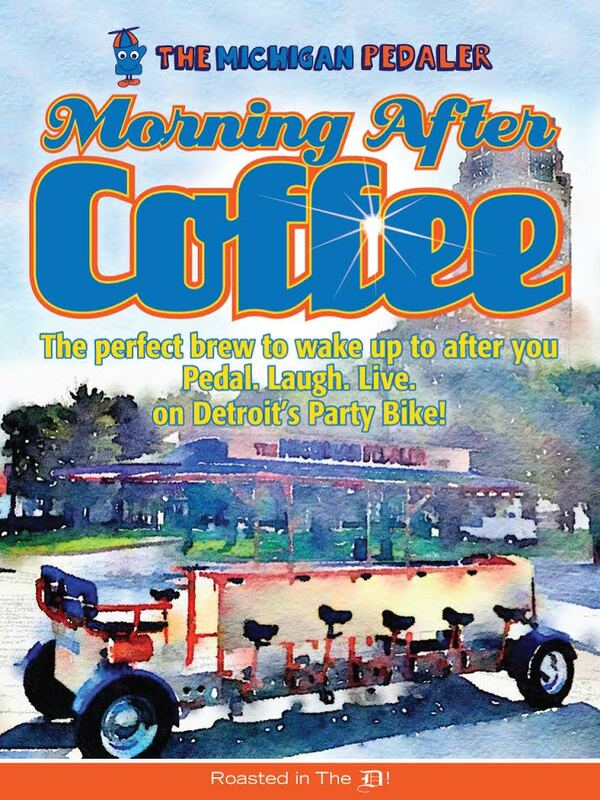 After a night of fun on The Michigan Pedaler, savor the memories the next morning – or any morning for that matter – with a cup of our premium Michigan Pedaler Morning After Coffee. This exclusive blend is roasted slightly darker to bring out a hint of sweetness without the bite. While the beans are the best in the world, they’re roasted right here in The D to perfection. Pedal. Laugh. Live one day. Sip. Savor. Relax the next. 8 oz (1/2 pound) packages. Sold online in bundles of four (2 pounds total). Makes a great holiday or birthday gift, hostess gift or an “extra something” to add with the purchase of a Michigan Pedaler Gift Certificate. 4 - 8oz packages (2 pounds of coffee total!) for only $20!